Manhart Performance is at it again. The incredible German tuning company is known for building some of the wildest BMW’s to ever grace the asphalt, yet they aren’t working exclusively with a single brand any longer. This time they decided to work their magic on one of the other German powerhouses, none other then Mercedes-Benz. 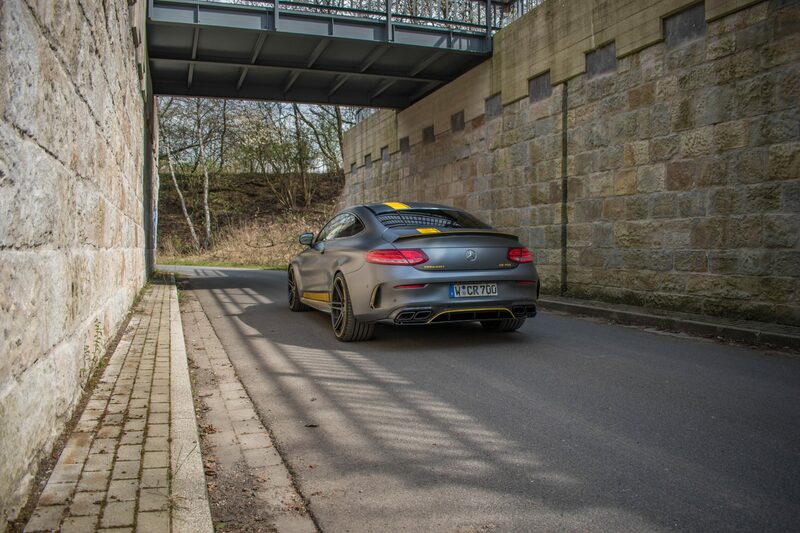 The Manhart Performance motto has always been to make fast cars even faster. They have done this in almost every way under the sun, but usually they land on substantially upgrading the stock powerplant to attain the performance they were looking for or, they will tend to go even bigger and swap the engine for something much more powerful. 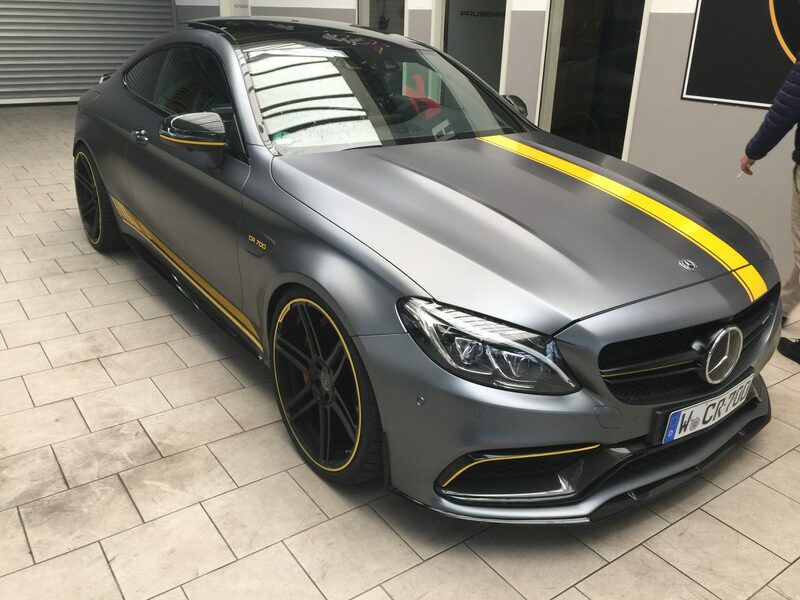 For This particular C63S AMG, Manhart Performance has elected to keep the already impressive 4-liter boosted V8, and just turn it up by a substantial amount. The result? 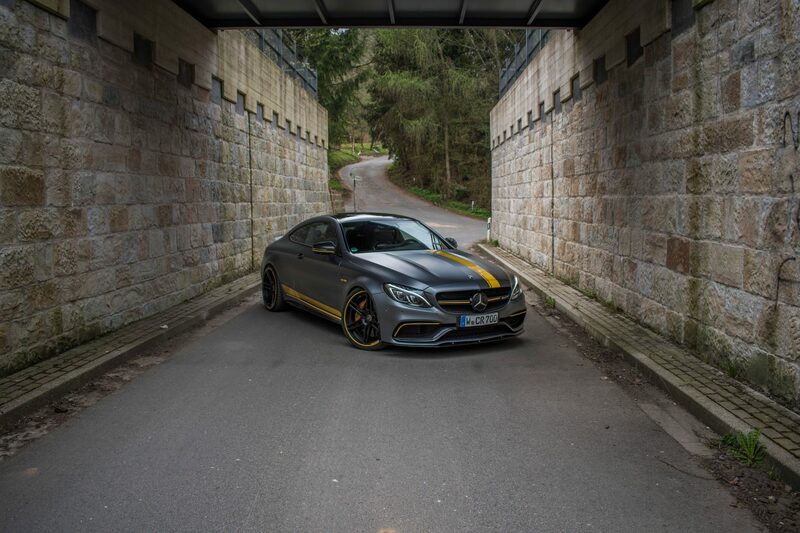 The business coupe that will slay a race track. 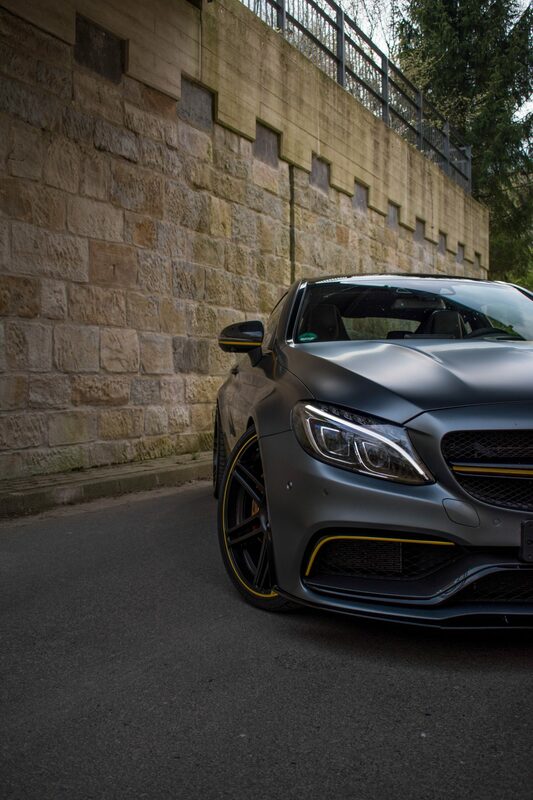 The C63S AMG from Mercedes-Benz is already one of the finest luxury based coupes that money can buy. 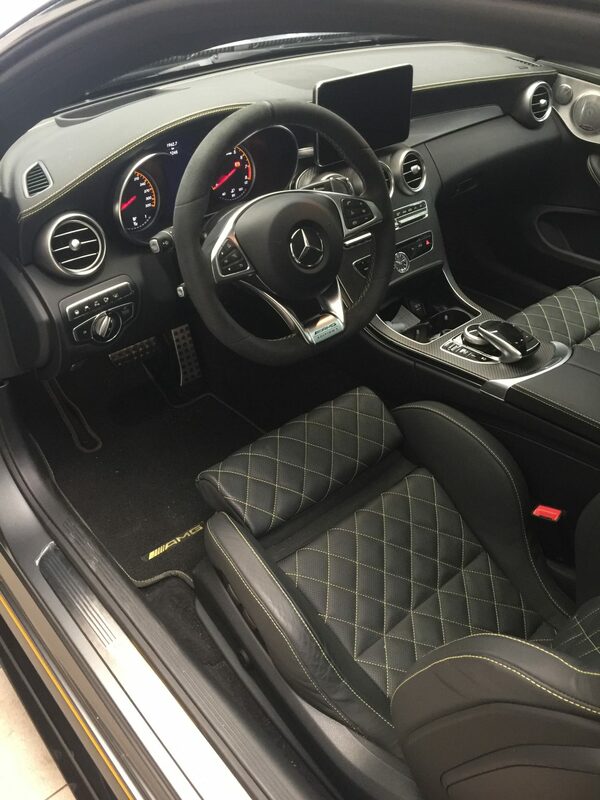 What AMG has created is considered by many to be the muscle car of the modern generation. 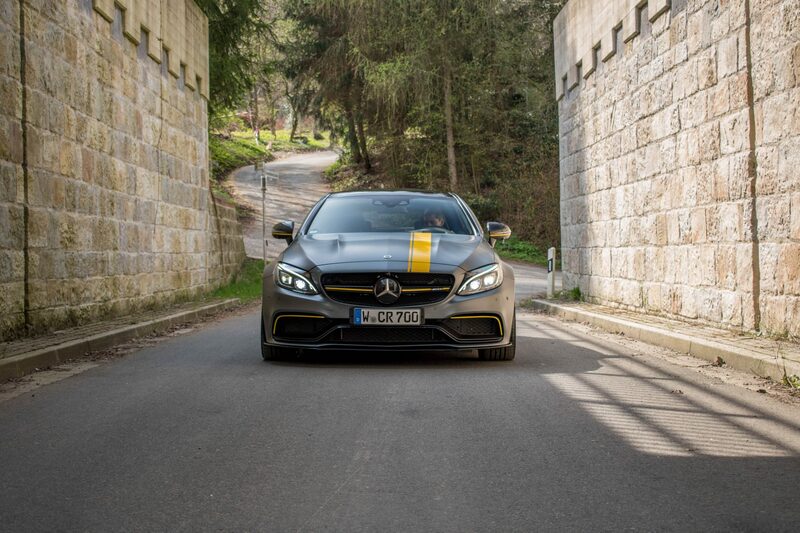 Everything about the C63S screams burly big and loud, all traits from the muscle car age. Furthermore, That 4-liter twin turbo V8 cranks out 510hp in stock trim with an equally impressive 516ft-lbs of torque, all while producing a thunderous exhaust note. 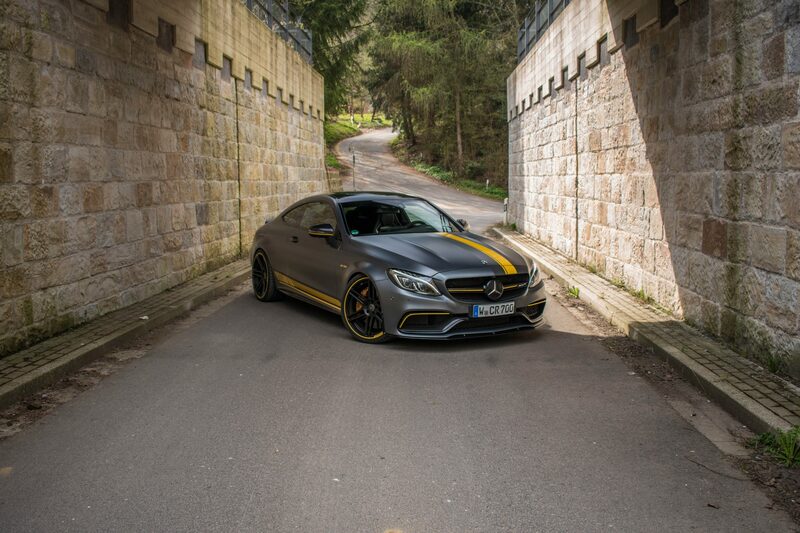 And yet the C63S is still true to its roots, featuring an ultra refined interior and timeless good looks. It’s the kind of car I imagine retired racing drivers buy; something exhilarating and capable yet classy in every way. And now it’s gotten that much better, thanks to Manhart. 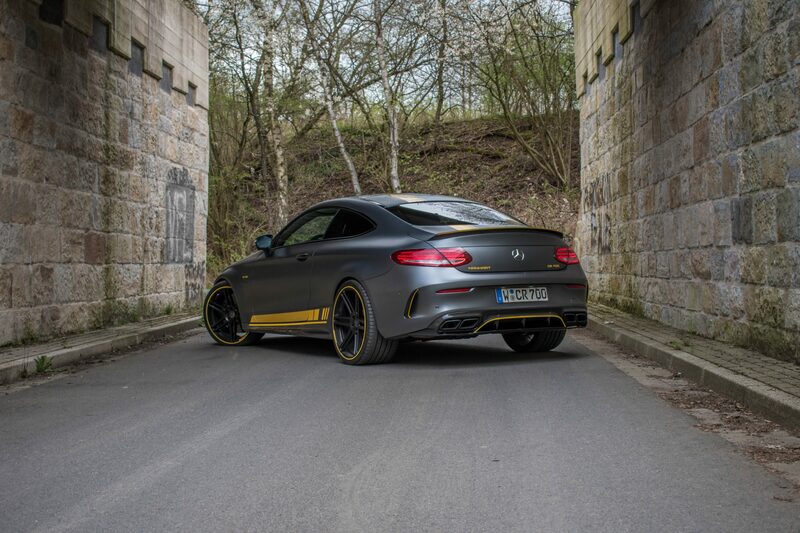 I don’t think Manhart is capable of doing wrong, and their CR700 is perfect proof of that. 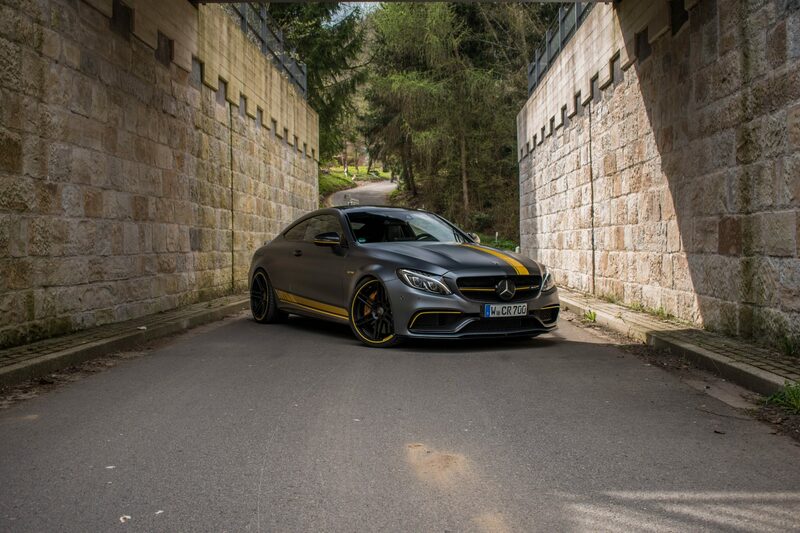 The C63S donor has been upgraded inside and out, keeping that same essence that made it great in the first place, only now with some extra hardware to make it even more lethal. 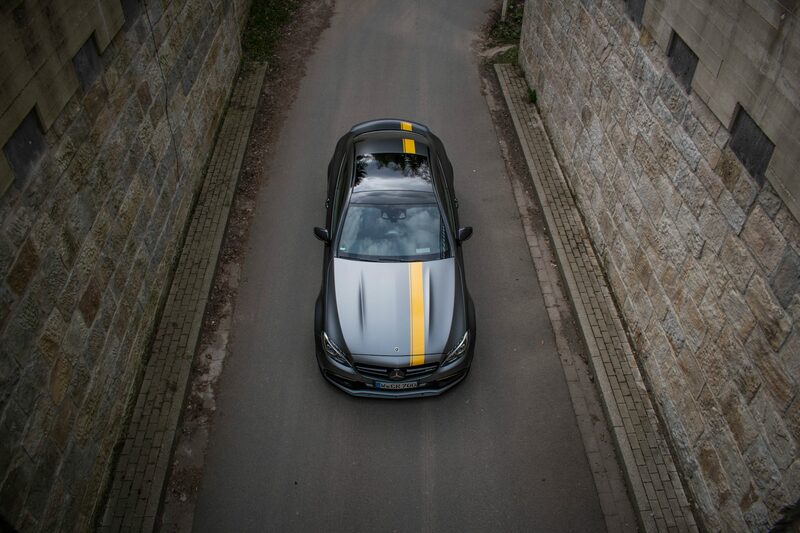 From the exterior you can see that the CR700 is no ordinary C-class. Because it’s based on the ‘Edition One’ series it now sports an aggressive matte black paint job with yellow detailing. This adds just enough color for the CR700 to stand out, without being excessively flashy. Manhart made the right move by keeping the visual modifications to a minimum because the ‘Edition One’ is already a complete stunner. the only significant difference from the stock ‘Edition One’ comes in form of the new 21-inch wheels and a slightly lowered stance. The Concave One wheels are built in-house by Manhart Performance, measuring 21×9 up front and 21×10.5 in the rear. The staggered wheels really highlight the CR700’s muscle car looks. The interior has gone unchanged, a sign that Manhart knows when something is already at its very best. 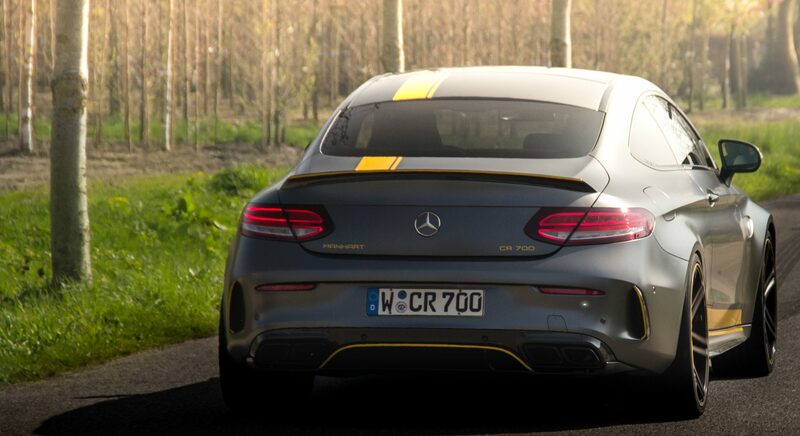 Because of these subtle changes it would be easy to mistake the CR700 for being your run of the mill C63S, after all the ‘Edition One’ has no impact on performance. That would be a mistake you could only make once. The CR700 is aptly named that because it no longer produces ‘just’ 510hp. Instead, Manhart has replaced the stock turbos for a new set, as well as an all new fuel management system to feed those hungry new turbos. The exhaust system has been swapped for Manhart’s own unit, going all the way from the downpipe back. This gives the CR700 a 37% increase over stock resulting in 700 horsepower total. Torque has also had a substantial jump, landing at 664ft-lbs of total torque. All coming from just 4-liters and some serious boost. 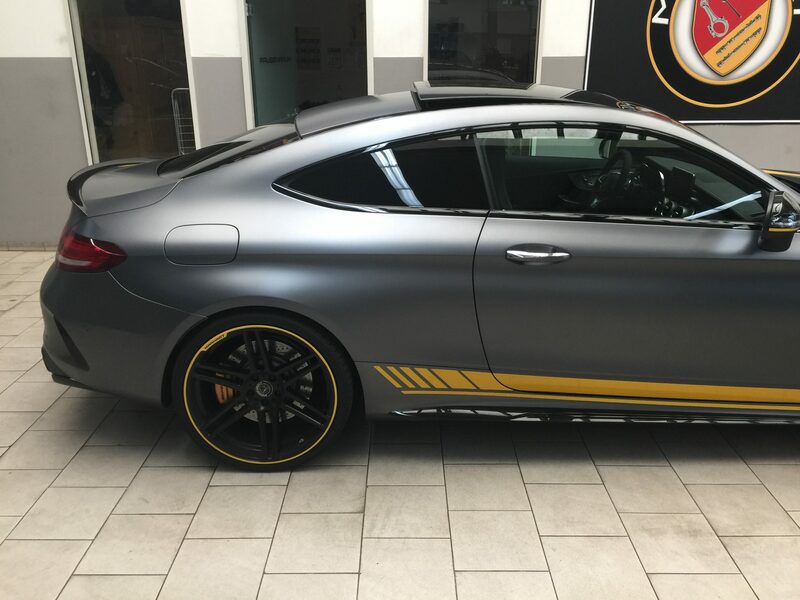 To keep things balanced Manhart had the CR700 fitted with a set of KW coilovers allowing whoever is driving to keep all that power in check. 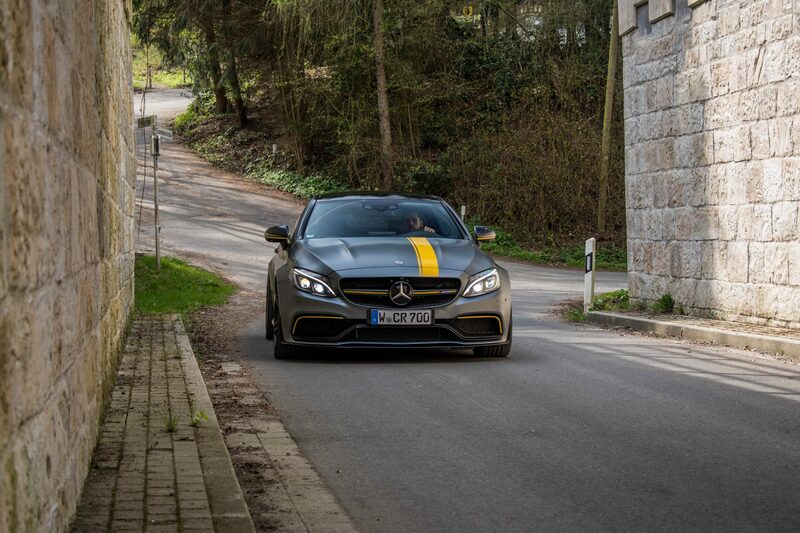 The fascinating thing for me is that the C63 comes standard with multiple driving modes like comfort, sport+ and race. These modes change the dampening in the suspension as well as things like shifting speed and of course the tunable exhaust valve. Manhart has managed to keep all of these features active, making the CR700 feel almost stock in terms of function. However, that stock feeling goes out the window as soon as the long pedal is put to the floor. Not only does the CR700 start gaining speed rapidly, the sounds it makes while doing so will make you wonder if it’s possessed. The exhaust doesn’t just bellow, it snarls and snaps with every input from the throttle. This is the kind of character you can only get from a modified AMG. With that exhaust baffle still in tact you can go from subtle to obnoxious in the blink of an eye. Mind you the CR700 isn’t all bark and no bite either, while the 0-60 time has only dropped by 2-tenths the 0-120 has dropped by nearly 3 seconds. That’s the motorsports equivalent of an eternity. Of all the great creations to come out of this incredible German tuning shop, this CR700 is by far my favorite. It’s almost more impressive what they didn’t modify more than what they did, showing great taste in the process of absolute performance. Not bad for their first venture into AMG territory.